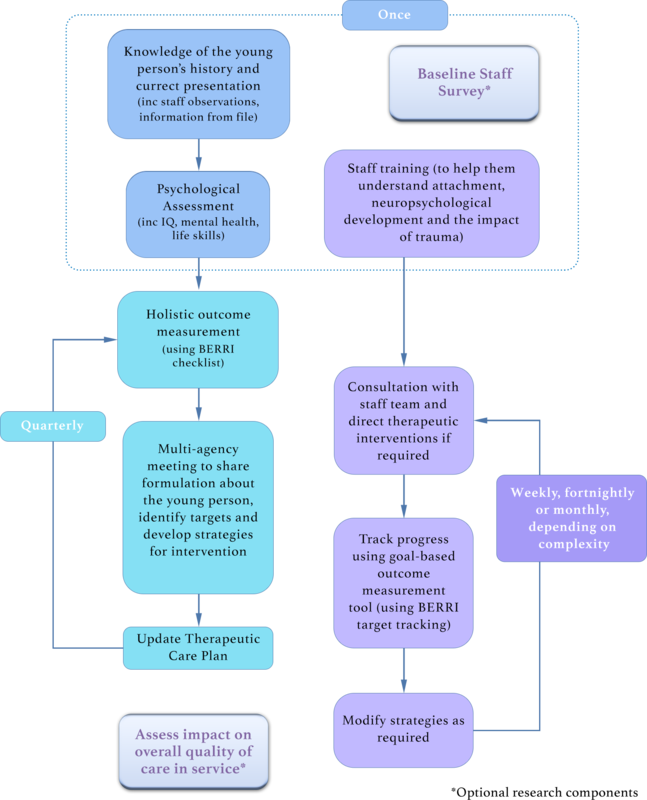 BERRI - How can we build on BERRI to deliver psychologically informed care? We see BERRI as one component of improving the quality of placements. As a stand alone tool it can help inform those caring for a particular child, and give useful data to service managers, commissioners and inspectors. However, it can also enhance the efficacy of existing interventions, or be one component in an evidence based, psychologically-informed care pathway. Where these five factors are in place, we believe the network can work together to provide effective individualised care. What needs to change in residential care?